In this second part of looking at the many health and curative or healing benefits of cabbage, I will be breaking it down to some specific ailments that this wonder vegetable is able to perfectly bring under control. Cabbage has been used both clinically and domestically to achieve cures that are almost baffling; it is loaded with unique healing properties as well as phytonutrients that aid in muscle building and general cleansing. Constipation: Cabbage is a very rich source of roughage which is a non-digestible part of the food and so would go to form bulk. It stimulates the intestines for a perfect bowel movement. 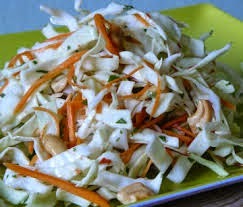 You can prepare a complete meal of raw cabbage which is perfect for handling your constipation. When you do this, first chop the vegetable into very thin slices and add a little salt, including black pepper, and lemon juice to the cabbage. It will be well received and perfectly tolerated by your system without any adverse effects. Stomach Ulcers: More than three decades ago, Garnet Cheyney (MD) of Stanford University, did considerable work on this and was able to administer cure to so many ulcer patients by just using raw cabbage juice. Research has shown that duodenal or stomach ulcers tend to respond with wonderful effect to treatment with raw cabbage juice. It has also long been used in traditional societies to remedy such and similar problems. The vegetable is said to contain an important anti-ulcer agent, vitamin U, which is easily destroyed by cooking. The treatment is carried out by the patient taking between 90 – 180 gm of raw cabbage juice, three times daily, after which a regular meal should be eaten. To render the cabbage juice more palatable for consumption, you may need to add to it, pineapple juice, tomato juice, or citrus juice such as orange. You can also refrigerate this mixture so as to improve its flavor. However, it should not all be taken at once, but at many intervals throughout the day. Also, if you do not have access to a blender or juicer, or perhaps you do, but no power supply, you could still make do with chewing on a little portion of cabbage four to five times in the day. Obesity: Tartronic Acid, a highly potent phytonutrient has been discovered in recent research efforts to be highly present in cabbage. This substance plays a vital role in inhibiting the conversion of sugars and carbohydrates into fat and so it becomes a very practical and very effective way to handle problems of overweight. Thus taking a daily salad of cabbage would be an easy and painless way to stay trim and fit without any form of unnecessary harsh dieting exercise. It gives you a good feeling of fullness while your system tolerates and digests it very easily. Skin Disorders: Cabbage has also been used in the treatment of various skin disorders by the careful application of the leaves: It is used in the form of compresses in the successful treatment of ulcers, infected sores, blisters and skin eruptions including psoriasis. Psoriasis is a chronic skin disease characterised by dry red patches covered with scales; it occurs especially on the scalp and ears and genitalia and the skin over bony prominences. Cabbage has been ably applied to effectively treat this very ailment, including others such as burns as well as carbuncles - an infection larger than a boil, and with several openings for discharge of pus. It is the thickest and greenest outer leaves of the vegetable that are most effective when used as compresses.